Seama Beltom� can feel it. He can see it. Epic Fantasy on a grand scale. Very intricate political scheming and a very fearsome and powerful enemy is being created. One wonders how the forces of good will prevail. Wilf is talented writer. Intricate in plot, brisk in action, and rich in characters, the work is on a dazzling scale. 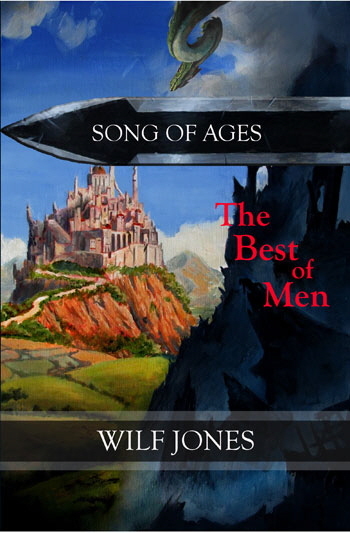 If you like your fantasy worlds expansive and complete, a story that�s as challenging as it is entertaining, and if you like the writing imaginative and well-crafted, The Best of Men is as good a book as you’ll find. This fresh, fighting construction never ceases to surprise. The plot twists and erupts; ships are downed by mythical monsters, wizards wield spells of great power and puzzles, clues and strange happenings abound. The characters are brilliantly drawn… There is diversity, humour, friendship and insight, everything you would expect in the creation of a new world. It really is a feast for the imagination. A super book, which held me from the first pages, and carried me right through to the end.